Homeopathic remedies will help those who stutter and rebalance the physical and emotional state that contributes to it. For nervous tics and when stuttering gets worse with nerves. 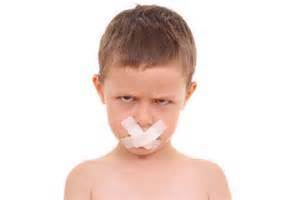 Rapid and interrupted speech; insecure and anxious child, intensity. For nervous spasms of face and limbs and when labored speech that gets worse when frightened. For those who talk too fast and trip over words. Stutters when anxious, stuttering accompanied by bedwetting or tics; paralysis of the vocal cords; tendency to hoarseness and dry cough. Stuttering due to muscle spasms; hiccough preceding the spasms; abdominal colic and pains. Stuttering from ailments from grief, emaciation, late learning to talk; thin, introvert, taciturn child; wants to play on their own. Stuttering from ailments from fright or violence. Excitable. Red faced. Imaginative. Stuttering often starts after a fright with difficulty starting a word or phrase. Erratic and irregular speech. Stuttering accompanied by body or facial movements, tics, twitching or bedwetting; violent nature or surrounded by violence.